Dried coriander seeds used whole or ground. 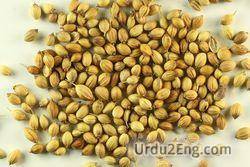 Coriander seed available at this shop. 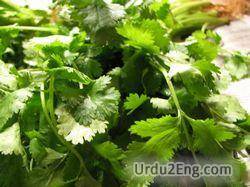 Parsley-like herb used as seasoning or garnish. Do not add cilantro in this food.